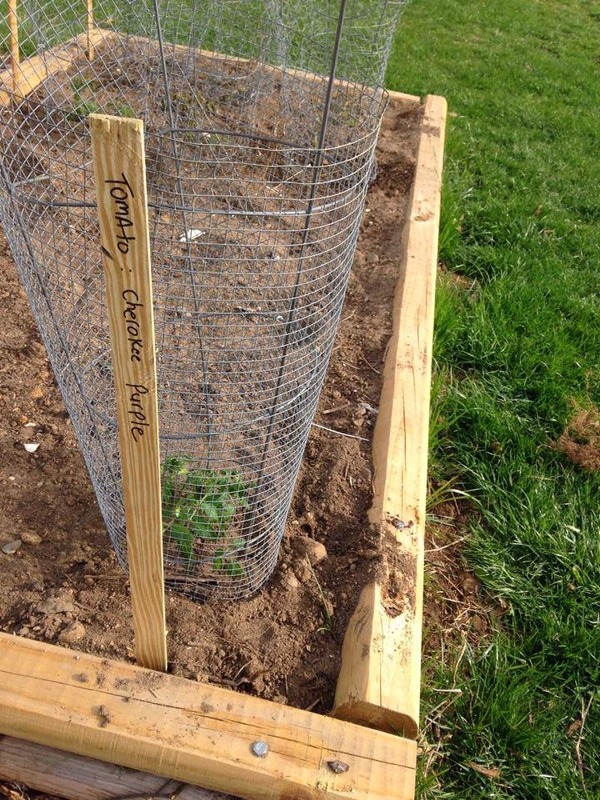 Keeping your vegetable garden organized will go a long way to a successful home vegetable Garden. 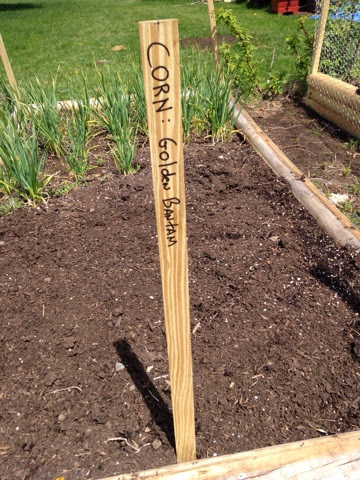 One of the best ways to keep your home vegetable garden organized is to properly mark what you are growing. When the seedlings are young, I like to use wooden craft sticks that are available at any craft store, or online at places like Amazon. 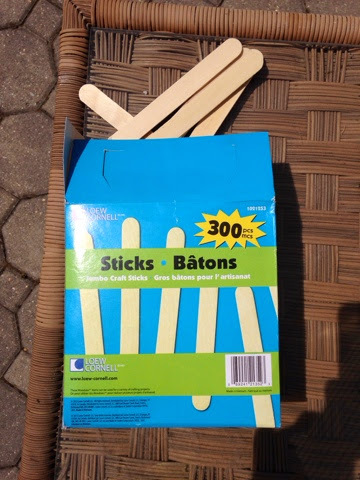 In the photo shown above, a box of 300 Jumbo craft sticks runs about five dollars sometimes even less if you catch a good sale. Once you have your Jumbo craft sticks you want to write on them with something that's a little more "permanent" than a pen. I like to use a fine point sharpie marker. The reason I choose a fine point is because the wooden sticks will absorb the marker and make the marker ink spread out just a little bit. 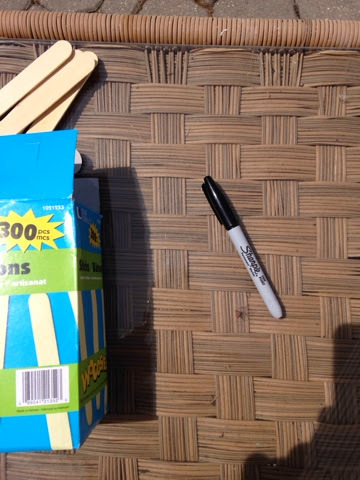 Sharpie markers are available pretty much anywhere like Walmart, target, Amazon, your supermarket, and any craft store. 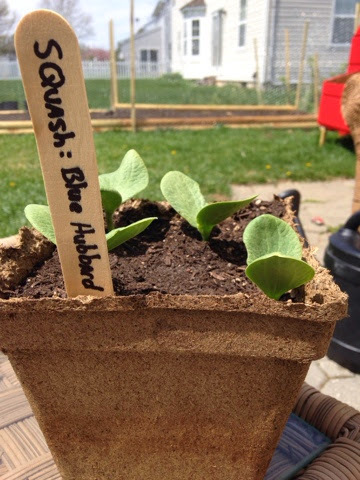 As you can see in the picture above, I have marked my blue Hubbard squash using this described method. The marking is nice and dark as well as permanent. And that is key because you don't want the marking to run, especially when you water the plants. You won't however use the same wooden sticks in your garden. While you certainly can use them, there is nothing wrong with that, I prefer using something a bit larger to mark each garden area. For my outdoor garden markings I like to take 4 foot wooden posts and using my table saw cut them down to quarter inch strips. 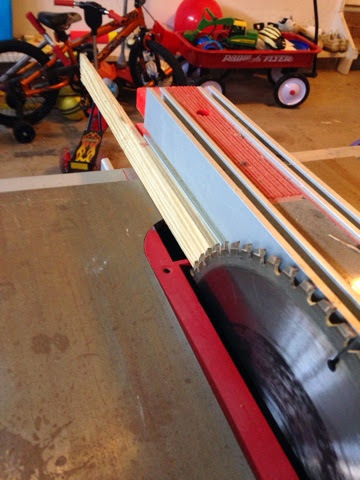 As you can see in the picture above, what I do is take my tablesaw, move the fence over to a quarter of an inch and then slide my post through which gives me the perfect size. 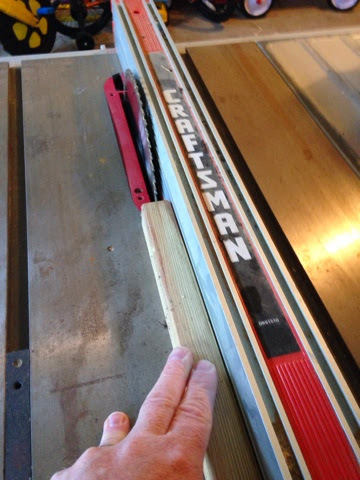 As a disclaimer I have removed the Saw Blade protector so that I could take this photo. Before I insert the garden stake into the ground, what I will do is write on it using my sharpie marker with what is planted in that area. As noted in the picture above that particular area has corn planted in it. 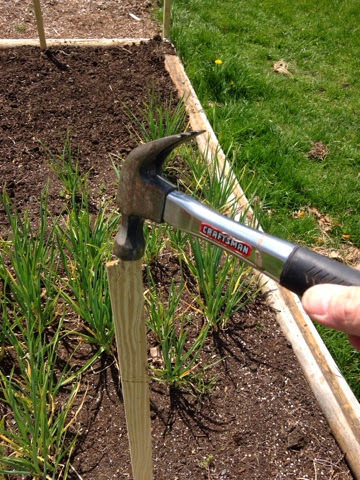 Inserting the garden stake into the ground is very easy, as shown in the picture above, you can see, all I do is use a hammer and just lightly tap on it. 6 to 8 inches deep is all you will need to keep the garden stake stable. In this week's episode, Mike chats with Helen Yoest, the author of the book, Plants With Benefits: An Uninhibited Guide to the Aphrodisiac Herbs, Fruits, Flowers & Veggies in Your Garden. Helen Yoest is an award winning freelance garden writer, scout and stylist for some of the nation's leading shelter magazines. Her work regularly appears in Country Gardens, Better Homes and Gardens, Martha Stewart Living, Southern Living, Carolina Gardener, and many others. Helen Yoest is a curious gardener – curious about plants, soil, design, and how others use these to create their gardens at home. She is also curious about what plants do for us today in the here and now, but also about their history and lore. Plants have a colorful past. Featured in The New York Times: Sometimes Asparagus Is More Than Asparagus. Full story in the print version, January 30, 2014. As an award winning freelance writer and garden stylist, Helen has traveled the world visiting public and private gardens so she can step into the dream that was once just an imagination. Her work has appeared in Country Gardens, Better Homes and Gardens, Southern Living, Martha Stewart Living, Carolina Gardener, and many others, including her work as the national gardening expert for Answers.com. Helen is also the author of Plants With Benefits: An Uninhibited Guide to the Aphrodisiac Herbs, Fruits, Flowers, & Veggies in Your Garden (2014, St. Lynn’s Press) and Gardening with Confidence, 50 Ways to Add Style for Personal Creativity (2012, GWC Press). Helen curates garden art, serves on the board of the JC Raulston Arboretum, is past Regional Representative of the Garden Conservancy Open Days tour and opens her garden annually, and is an honorary member of Pi Alpha Xi, the national honor society for floriculture, landscape horticulture and ornamental horticulture. Helen lives in Raleigh, N.C., tending to her half-acre wildlife habitat, her husband, and their three beautiful children. A lot of people thought I was crazy when I transplanted my Cherokee Purple Tomato plants outdoors in April here in zone 7a. I checked the weather for the next 10 days on my iPhone weather channel app, which is a free download in your app store. The app is also available for your Droid as well. With that said, the app showed that the weather for the next 10 days was going to be great, with some rain sprinkled in, and the overnight temps were not going less than 40 degrees, which is fine. The roots should set up nicely! The Cherokee Purple Tomato is an heirloom variety tomato. That means you can save the seeds and plant them in subsequent seasons and grow the same exact plant. I like to pick the first good tomato (of any heirloom tomato plant actually), and save it specifically for the seeds. The simplest way of doing it, is to extract the seeds from the tomato onto a paper towel, and just let them dry out. Once dry, put them in a coin envelope (or a similar small envelope), mark the envelope "Tomato: Cherokee Purple", seal the envelope, and store the envelope in a cool, dry location until the following season. 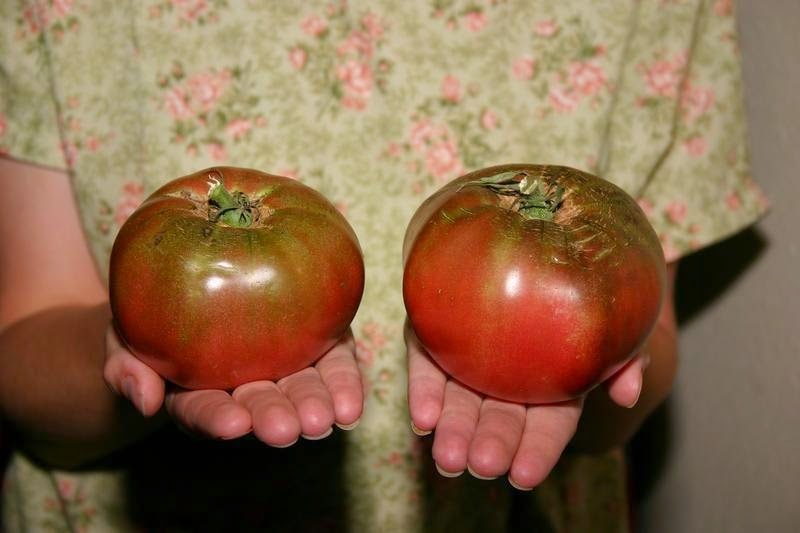 The Cherokee Purple tomato is not actually purple. It has more of a reddish-purple coloring to it, and is part of the "black" tomato group. It is an indeterminate variety, meaning, it can grow at varying heights. It is known to grow up to as much as nine feet! 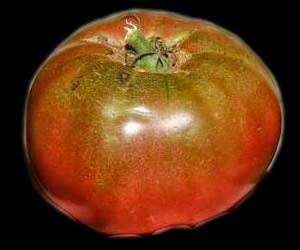 The shape of the Cherokee Purple tomato fruit itself, is similar to beefsteak. Very large and round where a single tomato can weigh up to a pound. Although your average weight of each fruit will be a bit less. The Cherokee Purple tomato's juiciness and size makes it perfect for any sandwich which is my favorite method of consumption. 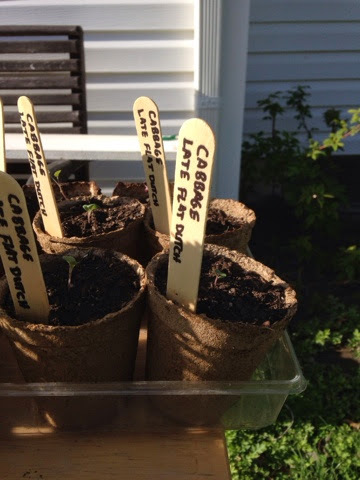 With proper care, even watering, full sun and bi-weekly feedings with an excellent organic fertilizer such as compost tea or fish emulsion and you can expect your Cherokee Purple tomato plants to mature in as little as 80 days, yielding to you an abundance of these wonderful tasting and dense fruits. 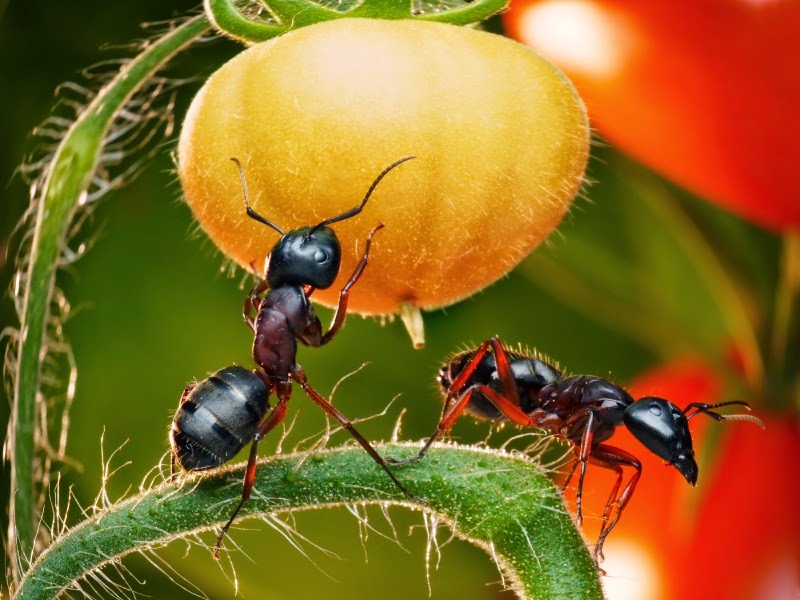 Getting rid of ants in the garden has to be one of the most popular questions that I have personally received in many emails and posts on the vegetable gardening Facebook page. I probably should have answered how to get rid of ants a while ago, but alas I have not created any blog post to date on the topic, so here are some remedies from the research I have conducted. What makes this topic tough is that not all remedies work, and with over 12,000 species of ants, not all ants are technically bad for your home vegetable garden. So here are some home remedies that you can give a try. 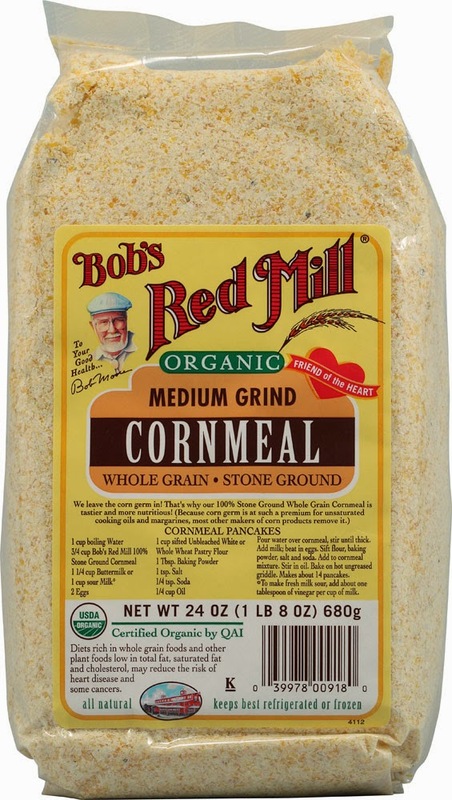 The first idea is one of my own that I read years ago and that is to use cornmeal. The upside to this method is that you will reduce the ant population, cornmeal is safe for your plants, and it is fairly inexpensive and widely available at any supermarket. The downside to this method, is that it takes a lot of applications to start seeing results and you may not wipe out the colony, which is probably what you are shooting for here. Another example of a good ant fighting method that is safe for plants, is direct spraying with a vinegar and water mixture. Equal parts will do. 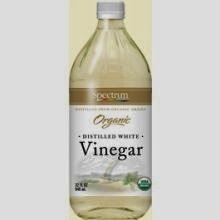 I have not tried this method personally as I like the cornmeal method, but the idea here is that the low pH of the vinegar is not good for the ants and it will kill them. I can see an immediate issue with this method and that is, if you have a lot of ants, this could be a lot of work. It is also a direct method, which means you are only going to get what you can see. I highly doubt this will affect the ant colony underneath the soil that you can not see. If you have a small problem with ants, this could be quick and affective. If your problem is much larger, you may want to go a different route. Finally, this third method is extremely popular. Why? Because it works, and it's quick. OK, fairly quick, but you get the idea. That is to mix equal parts of Borax and something sweet like jelly in a bowl. Then place the bowl where your ants are. Because of the sweetness of the jelly, the ants will surely consume the borax laden concoction and kill the ants. When consumed by the ants they are unable to digest it which really messes them up on the inside. It has also been said that it wreaks havoc on their exterior as well. 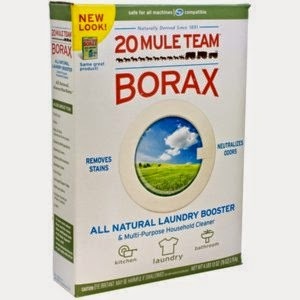 In other words, Borax works as a great one two punch, outside and inside of the ant! Also according to http://www.boraxforants.com/, when you make a paste with Borax, water and sugar, they will take that gel paste back to their queen which will wipe out their colony, and that is what you are looking for! There are even more solutions than these 3. 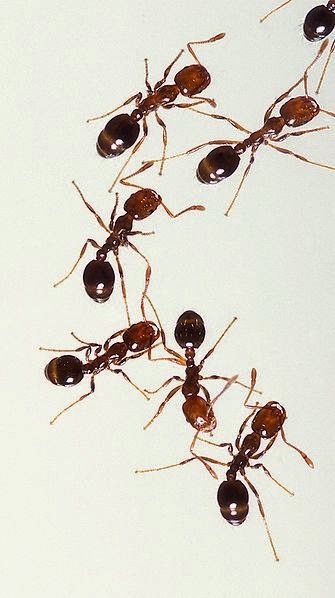 You can find them at Exterminate House Ants with 13 Natural ingredients. There you will find all kinds of cool solutions, including the few I wrote about here. In this week's episode, Mike talks with P. Allen Smith. Listen in as P. Allen Smith gives us some great tips if you grow veggies in a container as well as an in depth discussion on using manure in the garden as a source of nitrogen for your plants. From there, P. Allen Smith teaches us what heritage poultry keeping is, the breeds being preserved and the great people that are working hard to keep those century old poultry breeds going. P. Allen Smith is an award-winning designer, gardening and lifestyle expert. He is the host of two public television programs, P. Allen Smith's Garden Home, P. Allen Smith's Garden to Table and the syndicated 30-minute show P. Allen Smith Gardens. Smith is one of America's most recognized and respected garden and design experts, providing ideas and inspiration through multiple media venues. He is the author of the best-selling Garden Home series of books published by Clarkson Potter/Random House, including Bringing the Garden Indoors: Container, Crafts and Bouquets for Every Room and the recently published cookbook, Seasonal Recipes from the Garden inspired by the abundance of food from his farm and a family of great cooks. Allen is very active on social media such as Twitter, Facebook, Allen's Blog and YouTube. Smith also hosts his own radio program the "P. Allen Smith Show". His design and lifestyle advice is featured in several national magazines. Learn more at http://www.pallensmith.com. Inspired by a childhood spent on the farm raising and showing livestock and poultry Allen has led a life of promoting good stewardship of the earth. In 2009 Smith founded the Heritage Poultry Conservancy, an organization dedicated to the preservation and support of all threatened breeds of domestic poultry. On April 10th, 2014, I took the plunge into the world of raising chickens. Ok actually, I made the decision many, many months before that, but it was the date mentioned above, when the baby chicks arrived at my house. Let me clearly state in this article with the absolute, 100% verifiable and indisputable fact, I am new to raising chickens and have 0% experience. So if I write something that I am doing wrong or something that can be done better, by all means let me know in the comments. I need all of the help I can get. Sure, I have read plenty of books, and watched loads of great chicken videos on YouTube, but until you jump into something and actually have to do it, it's simply not the same. I am sure you can attest to that with something in your own life. I am excited, but at the same time a bit nervous. I grow vegetables, fruits and herbs and have been for more than 30 years. It has become second nature to me to garden. Raising chickens on the other hand is a whole new life experience. But, I did get reminded in a recent podcast I conducted with author Cindy Rajhel, that sometimes you simply need to get out of your comfort zone. Keeping chickens to me is a great, "out of the comfort zone" experience. But I am not tackling that experience empty handed, or without some experienced people in my corner. I follow a great page on Facebook called Fresh Eggs Daily. The page is run by experienced chicken keeper, Lisa Steele, who authored the book Fresh Eggs Daily: Raising Happy Healthy Chickens. I also had the opportunity to interview her in episode #160 of the podcast, where I got to ask her all kinds of great questions on keeping chickens. I have found that every time I have had a question, I post it on the Fresh Eggs Daily page, and that question is answered fairly quickly. There are a number of great pages, blogs and websites out there for learning about raising chickens, too many to put in a single blog post, so feel free to share your favorite in the comments below. I definitely want to check them out. All of the pictures that you see are of my little chicks and how I currently have them residing in my house until they are big enough to move outside to their coop that I built for them. I am pretty excited, because now, not only do I get to share with you great photos from the garden, I get to share the growing progress of my chickens. Can't Wait! They won't be this size forever, so I am enjoying it! In this week's episode, Mike talks fertilizers, soil amendments and school gardens with Cindy Rajhel, author of the book 50 HOMEMADE FERTILIZERS AND SOIL AMENDMENTS: The Ultimate Collection of EASY, ORGANIC Recipes for Edible Gardens using FREE and Recycled Materials. Cindy joined the army at age 26, tackled officer candidate school, made 5 jumps through the army's airborne school and served on active duty in Panama, before returning home and joining corporate America. Cindy is the founder of Home Grown Fun, an initiative that inspires folks to enjoy nature with new twists on gardening, DIY projects and outdoor adventures. She's an avid gardener and volunteers hundreds of hours at her elementary school where she runs a popular garden club and programs for more than 500 students! I must have felt overwhelmed a lot when my kids were little because they LOVE homegrown veggies and fruit. The youngest still eats green peppers like apples and my oldest thinks a nice tender clump of Swiss chard is a treat. Candy? Of course they like sugary treats but the kids don’t ask for soda because we never offered it to them when they were young. I’m a native of the Western Mountains of Maine. I grew up riding snowmobiles, ice skating and fishing. I set out for art school in Brooklyn, New York with a desire to experience the big city! I worked in film production and even had an internship at the McNeil Lehrer News Hour. In a turn of events, I moved back to my hometown just a few days before my awesome Dad lost a long battle with Leukemia. I tried moving home earlier but he wouldn’t have it! Then after a year at home helping my Mom with her business, I walked into a mall and signed up with the Army. I needed to shock my system and get a new perspective on life. When I met my husband in Southern California, I decided to resign my commission as an Army officer to plan a family. I went to graduate school and started a long career in software requirements management. There are so many benefits to puttering around in the garden and I want to help you catch that bug, entertain, and offer up information in a format that makes it fun and easy to grow. For a little over 6 months, I ran a booth at the farmers market in Vista, California offering inventive seed-based garden gifts and kits. For example, I packaged up a kit with three kinds of potatoes and a recycled coffee sack so folks could grow their own taters above ground! Manure offers a tremendous amount of benefits to your vegetable garden. For the sake of this article I am focusing in on animal manure, more specifically horse manure. If you want more information on "green manures" check out Cover Crops, Green Manures and Mulches. Lots of horse poop (manure) in a nearby field that's been sitting there all winter. Is it safe to dig it into my raised beds or does it need to sit longer? So what I wanted to do is write about the benefits of using horse manure in your home vegetable garden. Manure is an organic matter. When I say organic here, I am talking about an item that gets broken down through the means of organisms feeding on it to release the nutrients. I am not referring to the certified organic process. Keep in mind that beneficial manure is not limited to only horses. Manure (the feces of the animal) can be used from cows, chickens, and pigs to name a few. Do NOT use manure from cats, dogs or humans. nitrogen (src: http://tinyurl.com/5d5n9f) of which a lot of it is soluble meaning it will be washed away in a good rain storm if you spread it out over a field. However, before you start saying "what's the point then? 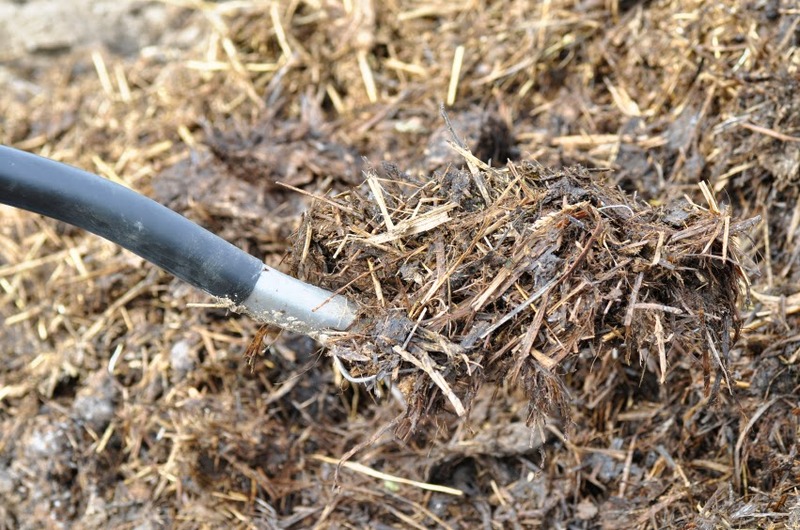 ", by composting your manure first, most of the nitrogen it contains will be stable and will slowly release into your soil, which is much better for your plants. Composted horse manure will also release slowly over subsequent seasons, and that means if you add composted horse manure each season, your soil will always be rich and full of the nutrients your plants need. First let us define what microbial activity is. Microbial activity, in its simplest definition means, that microorganisms are working hard in the soil to breakdown organic matter so that the finished result is usable by plants. You can add horse manure to your soil, but it still has to be broken down to a level where the plants roots can absorb the nutrients. The beneficial bacteria and fungi will do that and that is microbial activity. Help protect the roots of your vegetable plants. When you add composted horse manure to your soil, you will build a good soil structure. That in turn will help increase the amount of air and the amount of water that your soil can hold. This is important because, just like everything else, plants need air as well, and of course they certainly need water. If your soil can retain more water, that is less watering you will have to do which comes in very handy in areas that may experience drought conditions. To reiterate, because it is so important, horse manure is a great source of "fertilizer" for your garden, however, do not limit yourself to just horse manure. If you have access to chicken manure, pig manure, or cow manure, the same information from above will apply as well. 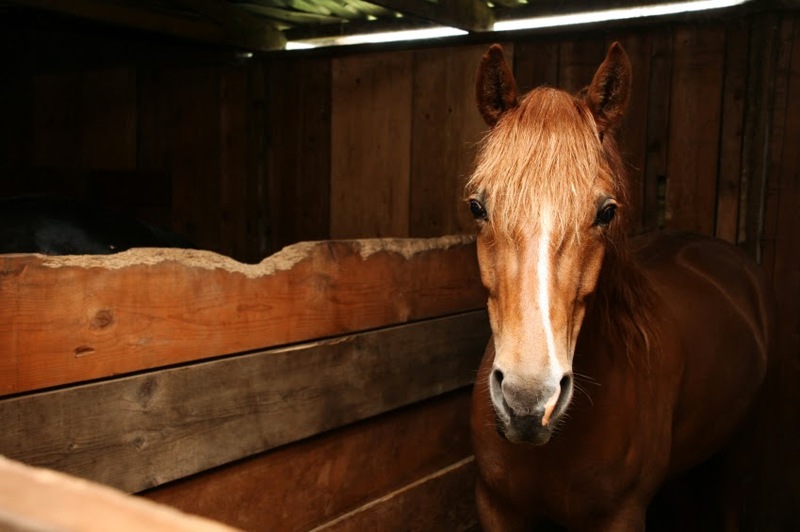 Also be sure, that when you are composting your horse manure (or whichever manure you choose), to mix in other types of organic material, such as leaves, grass clippings, shredded paper, wood ash, and kitchen scraps. This will help balance out your compost pile. Author Stacey Hirvela shares many other interesting concepts, like One-Minute Veggies (foods that go from patio to plate in less than a minute) Doubly Delicious Crops that give two flavors from one plant, and space/yield ratios (vegetables worth their footprint). Gardeners will also find an enticing array of 60 edibles that grow well in a defined space for productivity and beauty. After working as landscaper while she earned her degree in linguistics from the University of Michigan, Stacey realized her calling was in the garden. She attended the New York Botanical Garden School of Professional Horticulture in Bronx, New York, interning as a rooftop gardener in Manhattan for designer Jeff Mendoza. Upon graduation, she became the second female to serve as horticulturist at the former Tavern on the Green restaurant in Central Park. In 2005, she joined the editorial team at Martha Stewart Living, where she developed, wrote, and edited garden content for the magazine and co-hosted Homegrown, a call-in program on Sirius Satellite Radio. In 2011, she joined the marketing team at Spring Meadow Nursery, the company behind Proven Winners ColorChoice Shrubs. There, she aims to educate and inspire gardeners of all levels of skill and experience. She is based in west Michigan. Which Grow Light Bulbs are You Using?